Conservatories fit into small spaces too! Thanks to creativity and innovation, we can feature small garden spaces in the interior spaces of our homes, even if our homes aren't that big to begin with. All we need is to choose a good location, suitable plants and a suitable light source. These gardens can vary in style and design. 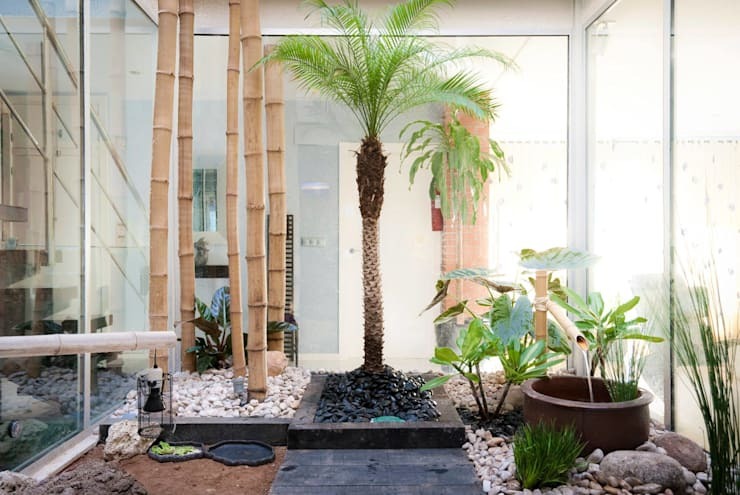 Today, we are going to present you with minimalist and modern gardens that you will love for the inside of your home! 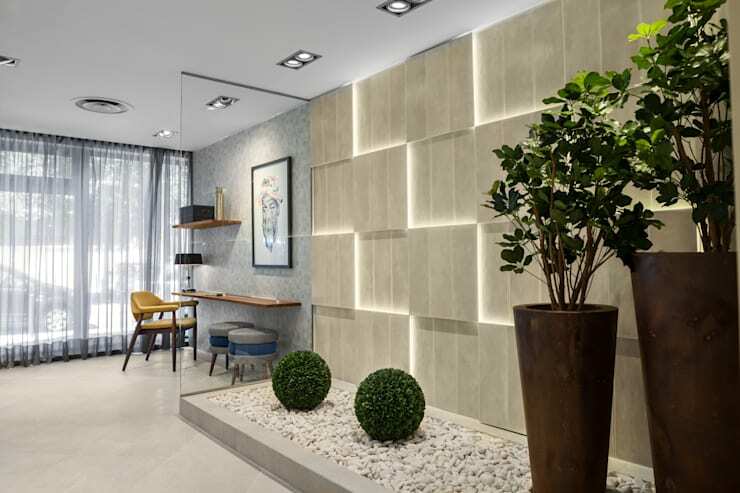 For those who have a small, bare space in the home and don't know what to do with it, we recommend that you create a beautiful stone garden, like these design professionals have done here. One of the great beauties of this natural decor is that it creates a wonderful contrast with the rest of the environment, becoming a unique and tranquil exhibition space. If you are looking to install a garden indoors, you need to keep in mind that plants take a while to grow and require a lot of nurturing and care. It should also be well-lit with plenty of sunshine, if possible. To create a garden, you need to find the right spot in your house and build a deep hole. Then you can start planting the specific flowers, trees or plants that you want. As a finishing touch, you can create a path of white stones through it or around it. This is a wonderful design! When you grow plants indoors, it is important to consider the types of plants that are going to thrive inside the home. Indoors, the light and the heat are not the same as if the plants are outside. Thus we recommend choosing flowers or plants that have a medium or low need for the sun. One of the best places to put your indoor garden is under a skylight, where the plants will receive natural light. Here they can undergo photosynthesis naturally. If you have had experience with featuring plants inside your home, you will notice that sometimes they lean towards one direction. This is because they are searching for the sunlight. If you don't have a skylight, place your plants under artificial light or near a window. 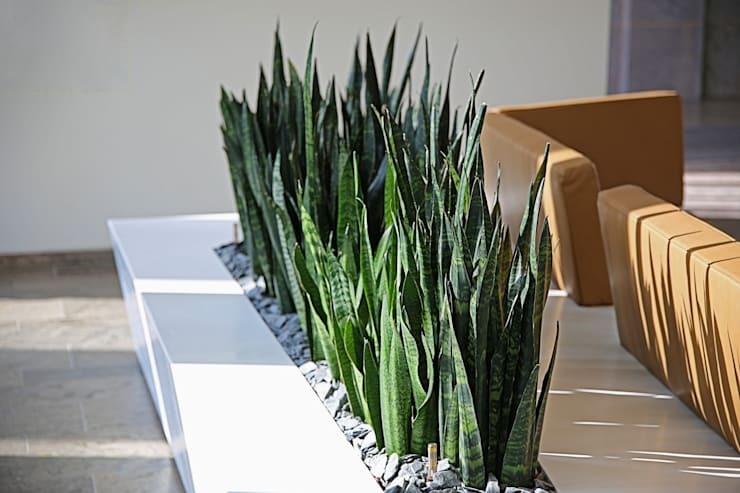 Another way to create a modern interior garden is to create succulent plant beds or sun resistant plants. You can place them behind chairs or on window sills for a wonderful look and feel. If you are afraid that flower beds will ruin your furniture, you can place stones on the soil to keep it neat and tidy. This will also give it a very elegant and modern look and feel! 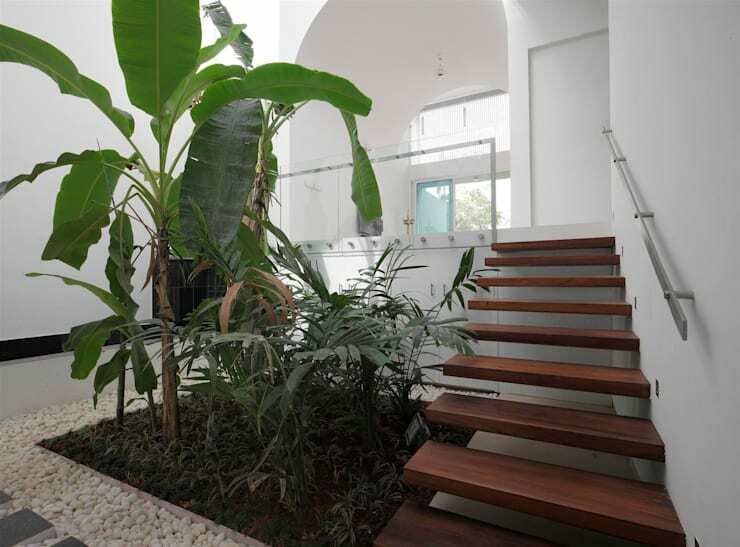 This space is ideal for a thousand and one things, but a modern garden underneath the stairs is one of the best options. You don't need a lot of plants for this design, but you need to choose the right ones to work in this area. 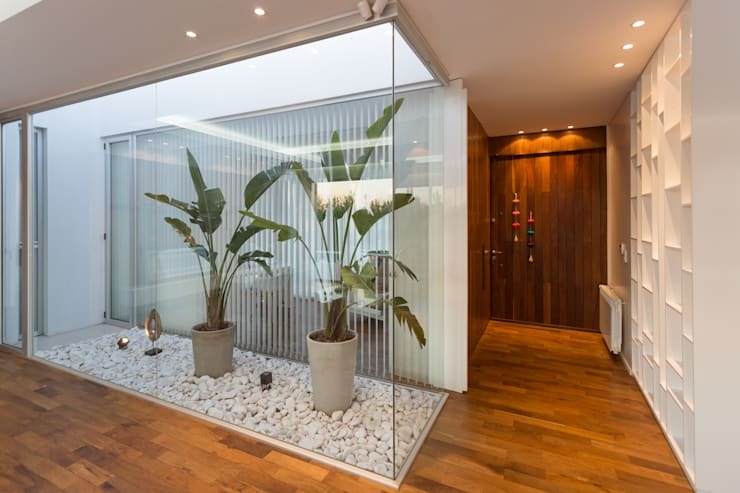 You can use larger stones for this indoor garden, like we see in this image, which will keep the space looking full and abundant. 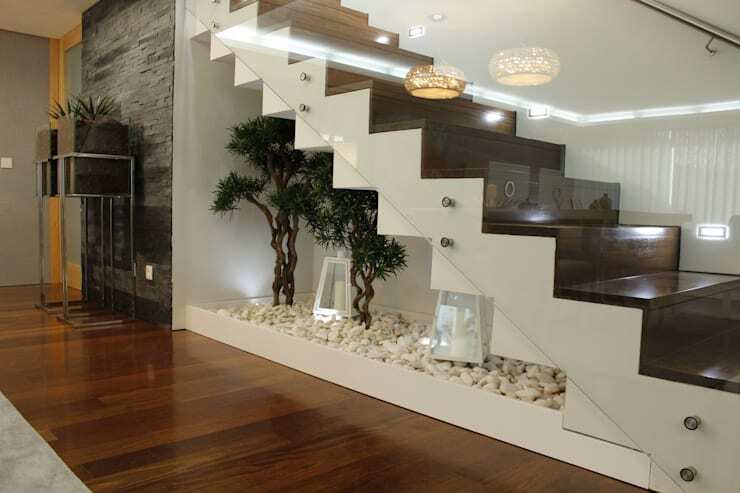 It will also mix together modern decor and the natural essence of a garden..
Also have a look at these other: inventive ways to use that wasted space under you stairs. If you want to make this garden a spectacular space, try adding a textured wall or some fluorescent lighting to the space to enhance it and add to it, like the cherry on top! You can also place plants or flowers in colourful, stylish or patterned pots. 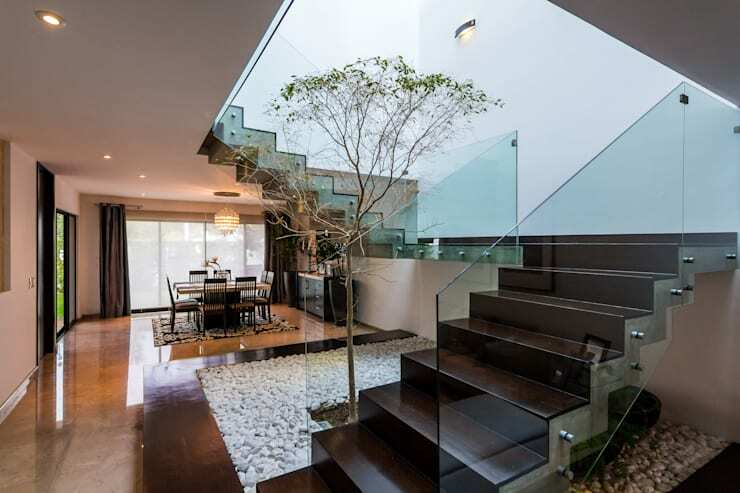 No matter what, your interior garden should fit into the look and feel of your interior design. You should also fall in love with it!